The Newcastle United Blog | » Can Pardew Do The Double Over Mourinho? Can Pardew Do The Double Over Mourinho? There’s not too many Newcastle fan that think we can get much out of the game this afternoon at Stamford Bridge, and especially since Jose Mourinho will be out to beat Newcastle, after we surprisingly beat them 2-1 at St. James’ Park earlier this season. In that game it was all Chelsea in the first half, but Newcastle held out well and then attacked Chelsea in the second period – and it was one of our best displays and best results of the season – a terrific performance from the lads. But today with Cheick Tiote, Loic Remy, Fab Coloccini, Yoan Gouffran and Papiss Cisse out, and Yohan Cabaye gone, this could be one of the weakest sides we’ve put out in the league this season. “Most weeks is a tactical masterclass from Mourinho, of course he walks on water.” “It’s a professional relationship we have. I don’t go out for dinner with him. I don’t buy him wine or drinks. I admire him because what he’s done in the game. “You don’t get the record he’s got of winning trophies unless you have a very, very sharp intellect. I think it was interesting what he said this week. He’s had a few managers pass under him, working under him as I have had. But they can never take your DNA as a manager. With Newcastle fans in the doldrums with the ineptitude, incompetence and complete lack of ambition shown by the club in the January transfer window, if Newcastle are going to be get a surprise result, today would be a good day to do it. 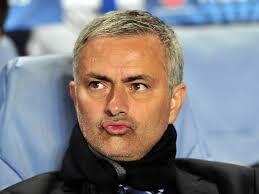 And how many managers beat Mourinho twice in a season – not too many. But we just cannot see our side being able to live with Chelsea today – so the expectations are not high. But we’ve also been wrong before. Id love it if Pards cam out with a really attacking team, HBA, Marveux, Gouffy behind De Jong and just went for it. Season is safe, what is to lose from this game as everyone expects to lose so why not at least have a go. If we did and lost heavily then I still think some people would appreciate the fact he had balls instead of going 442 longball and losing 3 or 4 nil as will happen. Lose by at least three goals today and will not score. Taylors due to give a penalty away with his groin (blatant handball to you and me) or a stupid tackle. What the hell do you expect Pardew to say “We are without our best players so we are going to get thrashed”. Of course he has got to be positive!